Our specialist pediatrician, Dr Rola have started working since 2010 with one of the biggest international private hospital in Damascus, St. Louis Hospital. With that said, her experience in treating all kinds of pediatric problem is highly enhanced with depth focused on chronic and infectious diseases especially with new born and general check-up. Having been able to work for top hospitals in Dubai, her specialty has brought her vast experience in all field of general pediatrics. 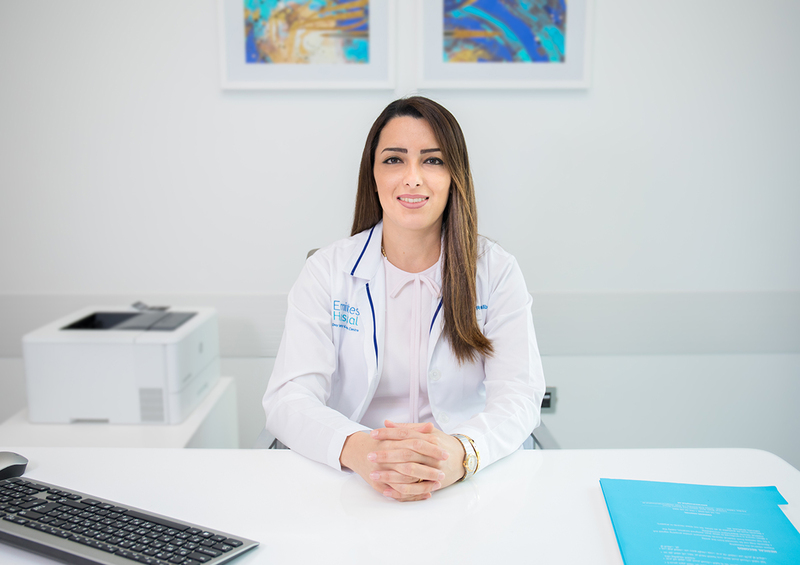 As a licensed medical practitioner both in Syria and Dubai, she desires to attend and cater all your kids’ health needs under her care. Visit our family at EHDSMC and get to know more about Dr. Rola, and her very child friendly services as seen noticeably with her very nice consultation room.